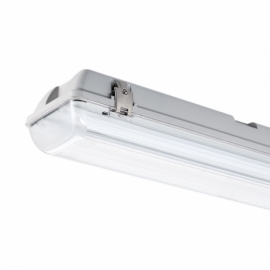 Steinel White XLed25 Slave Floodlights give instant light as bright as day with high energy efficiency in keeping with the times. 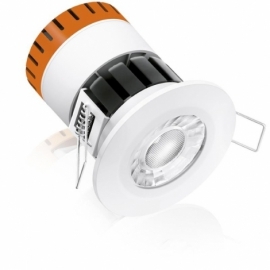 The XLed LED floodlight sensation is now available as a slave version without sensor. It can be used for bringing LED technology to sensor-switched multiple light systems. The integrated slave electronics permit activation by sensor-switched XLed's. 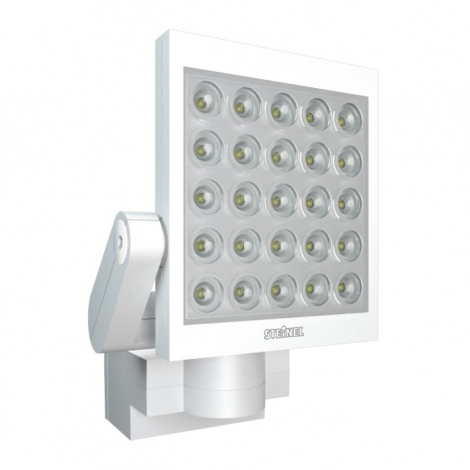 Needless to say, the LED floodlight is the perfect answer to high efficiency lighting tasks when used individually too. 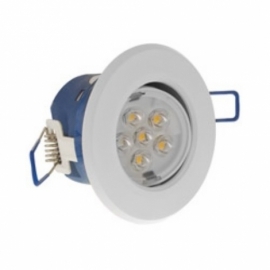 XLed floodlights from STEINEL feature instant, fully bright light from electronically controlled LEDs using only about one third of the energy consumed by conventional halogen floodlights. This turns a practical product into a real stunner. Creating this outstanding lighting solution demanded a completely new approach. From the aspect of control, cooling and design. With head-turning looks, it uses innovative high end 3W LEDs and a specially developed cooling system. But the really clever part is found in the microprocessor control electronics. The result is nothing short of amazing: radiantly bright light all around the building at minimum energy consumption. Plus a fascinating lighting effect with unique directional flexibility. XLed with 25 LEDs in the aluminium flat design light head. Approx. 62W power consumption. 4000 lumens light output. 270 degree swivel and 200 degree tilting range. External switching output capability for creating interconnected systems. 10 percent basic brightness mode (always 10percent light at night or 10 minute OFF delay after responding). Can be installed under porches as no need to allow for any metre safety distance. Life of LEDs: up to 50,000 hours.